Rich in culture, colour and exotic tropical scenery, Thailand makes for a fabulous holiday. So, it makes sense you’d want to celebrate “I do” in this warm and welcoming land of smiles. 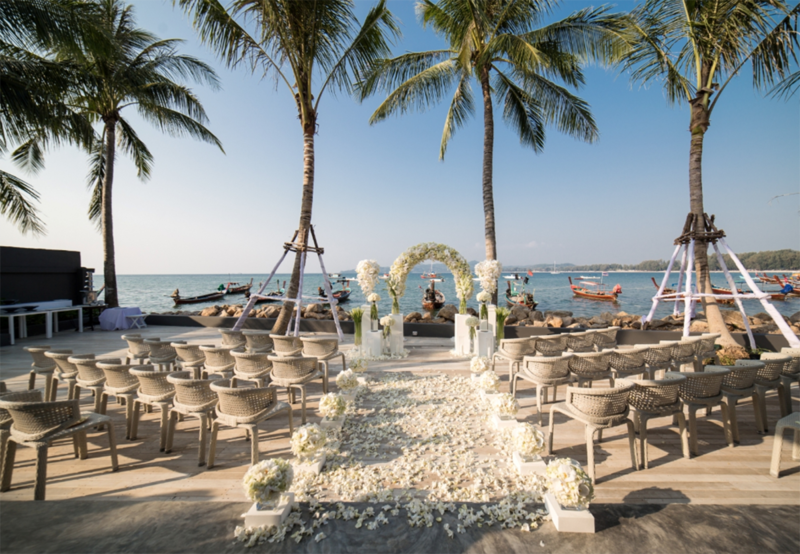 Known as the Pearl of the Andaman Sea, Phuket is the country’s biggest island and ticks every box for a romantic destination wedding. 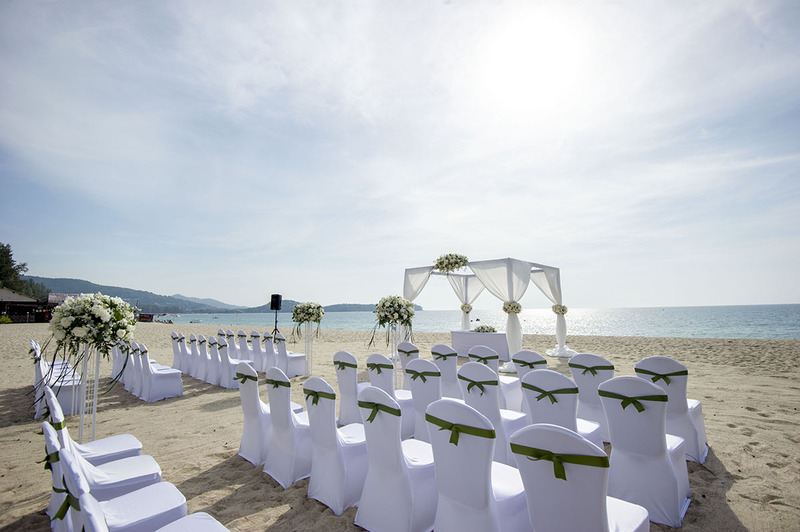 What makes Phuket the perfect wedding destination? Located off Thailand’s south-west coast, Phuket is brimming with photo opportunities and honeymoon adventures. From a sun-kissed coastline dappled with beautiful beaches and otherworldly seascapes to clifftop vistas, lush jungle and vivid island sunsets, the island is picture-perfect for “I do”. Whether you’re planning a beach ceremony, a chapel wedding, or rooftop vows, you and your guests will love the superb choice of venues, hotels, villas and resorts. Think beachfront locations, captivating views, five-star service, and delicious onsite dining. Add a touch of Thai culture with a monk blessing, traditional music or local dance performance for a truly memorable occasion. Thanks to Thailand’s affordable prices, your dream holiday celebration is within reach (and budget). 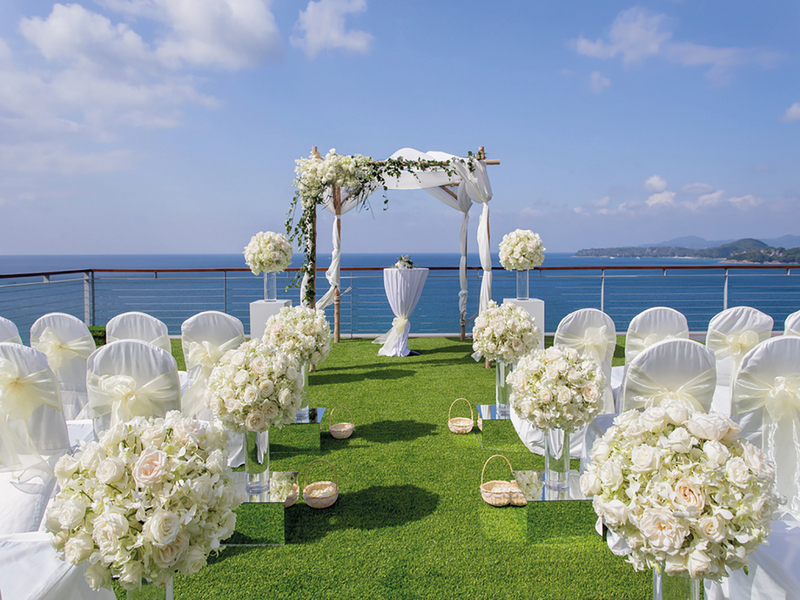 Choose your Phuket wedding package wisely and you’ll host an unforgettable event full of luxury inclusions. 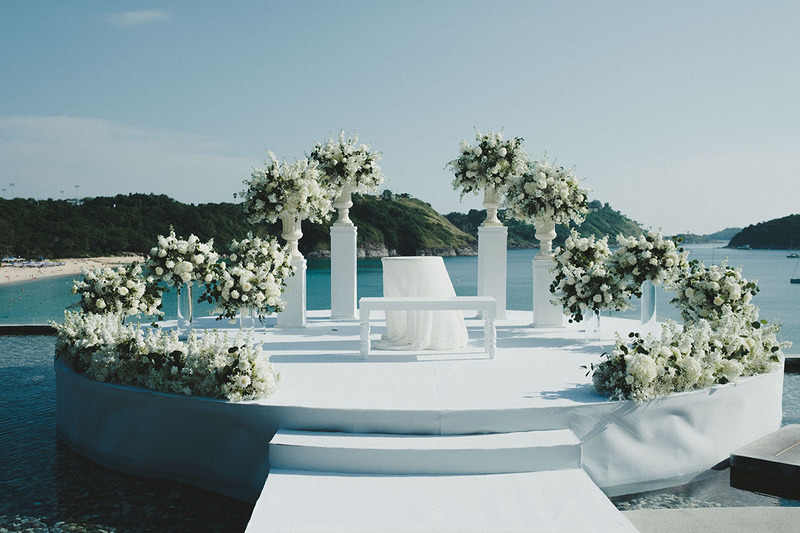 Related: We’ve done the heavy-lifting for you and found the very best wedding venues in Phuket here. Dive into one of Phuket’s many undersea and overwater adventures including snorkelling, kayaking, stand-up paddleboarding and sailing excursions. Drifting around the islands and legendary limestone karsts of Phang Nga Bay is a dreamy way to connect. Pampering is a highlight of any Thai itinerary. From beach massages to five-star spas, Phuket offers plenty of opportunities to relax and recharge. Many of the island’s standout spas are housed in swanky hotels, resorts and boutique retreats including Six Senses Yao Noi, Amanpuri, Banyan Tree Phuket, The Nai Harn and Sri Panwa Phuket. Phuket is a party island! So, gather your guests for cocktails and fun at one of the laid-back and luxurious beach clubs. You can’t go wrong with classics Café del Mar at Kamala Beach, Catch Beachclub at Bangtao Beach or Dream Beach Club at Layan Beach for a toes-in-the-sand ambience. Want to dodge the crowds? Seek out the Iguana Beach Day & Sunset Bar, located in a secluded cove between Kalim and Kamala Beaches. Plan a trip to the Phuket Sunday Night Market. Delectable street food and colourful shopping makes this an unmissable local experience. What’s a trip to Thailand without a close-up of their stunning nature and wildlife? Khao Lak is ideal for a group wildlife adventure, with monkeys living harmoniously in the wild, or enjoy an ethical elephant encounter at the Phuket Elephant Sanctuary. Phuket’s beautiful climate offers warm days and balmy nights but also the chance of tropical showers. Be mindful of monsoon season (September/October) if you want the best chance of a sunny ceremony — and have a Plan B in place to put your mind at ease on the big day. If you choose legally binding nuptials rather than a commitment ceremony or renewal of vows, there are several important steps to complete. These include visiting the Australian Consulate-General in Phuket or Australian Embassy in Bangkok and having your documents translated in Thai. Your wedding planner or coordinator will be able to assist or consider enlisting the help of an official registration agency to smooth the way. An elegant sanctuary by the sea, The Nai Harn is an icon of the Phuket landscape. Ideal for elopements and intimate celebrations, this secluded escape offers a choice of Thai or Western ceremonies and will take care of everything from spa treatments and a customized wedding cake to photography and rooftop cocktails. Accommodation is generous and refined (look out for the ‘Press for Champagne’ button in the suites) with views of tranquil Nai Harn Bay or lush tropical forest. Wedding parties will love the Family Wing: four Ocean View Rooms set around a covered outdoor terrace with its own plunge pool. Simply, sublime. 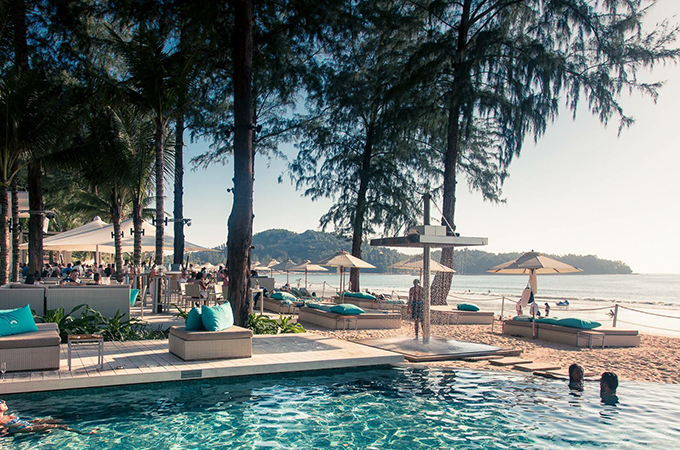 Angsana Phuket embodies tropical romance on Bang Tao Bay. Enjoy a beautiful toes-in-the-sand ceremony, poolside nuptials, or a memorable “I do” in Angsana’s white wedding chapel, which floats above the lagoon. Bringing a crowd? This versatile venue can host up to 400 guests in its Ballroom and even more in the Marquee for a gala-style atmosphere. Angsana’s professional staff will help create your dream day, so leave the details to them! 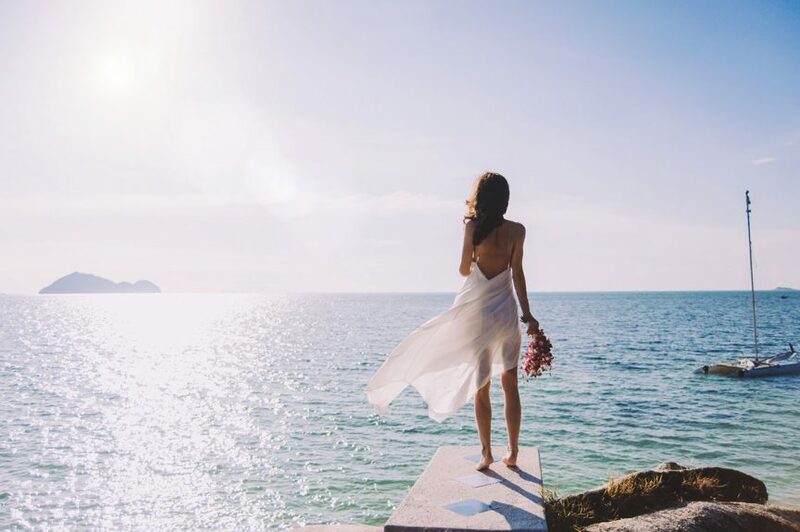 Part of Asia’s first integrated resort, Angsana Phuket Laguna offers plenty of stay and play options for a memorable honeymoon or wedding week. A chic and modern retreat overlooking a beautiful stretch of Kamala Beach, Cape Sienna Phuket offers a stellar wedding experience with sublime cuisine. The new Sun Deck hosts up to 100 guests while the wedding lawn at Vanilla Sky Bar is ideal for intimate weddings. Beautifully-appointed rooms and suites all capture stunning sea views and couples will love the indulgent cliff villas which feature a deck with private pool where you can soak up the spectacular Phuket sunset. Located in an exclusive Phuket enclave known as Millionaire’s Row, close to the golden sands of Surin Beach, Twinpalms is tropical luxe honed to perfection. One of the standout features is the choice of stylish venues including a Thai Sala, Presidential Penthouse and the Wine Room as well as the Palm Seaside Restaurant, Lounge & Bar. They can even organise a yacht wedding! A superb selection of residences, rooms and suites are nestled amongst the canopy of palm trees, with selected suites offering direct access to the expansive lagoon pool. Some of Phuket’s best beach clubs are within easy reach, setting the scene for a linger-longer wedding experience. Are you chasing sunsets for your island soirée? 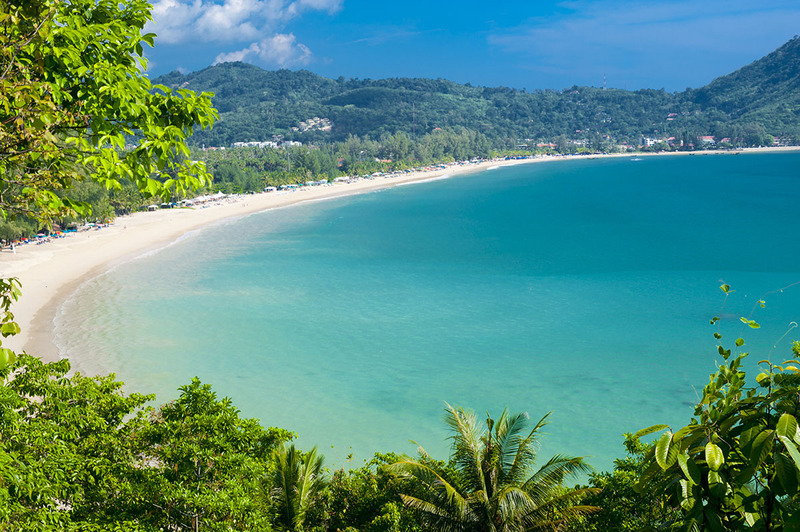 Then don’t miss the swish surrounds of SALA Mai Khao Beach on Phuket’s northwest coast. Celebrate your ceremony on the soft white-sand beach, on the beachside lawn or on the SALA rooftop with a breathtaking sun-drenched backdrop. SALA’s professional wedding team will ensure your dreams come to life, whether it be a menu of delicious local dishes, traditional Thai entertainment or elegant villa accommodation with a private pool. Indulgent package inclusions, such as a Champagne breakfast served to your villa and a two-hour couple’s spa treatment, make this a tempting option for your Phuket holiday wedding. 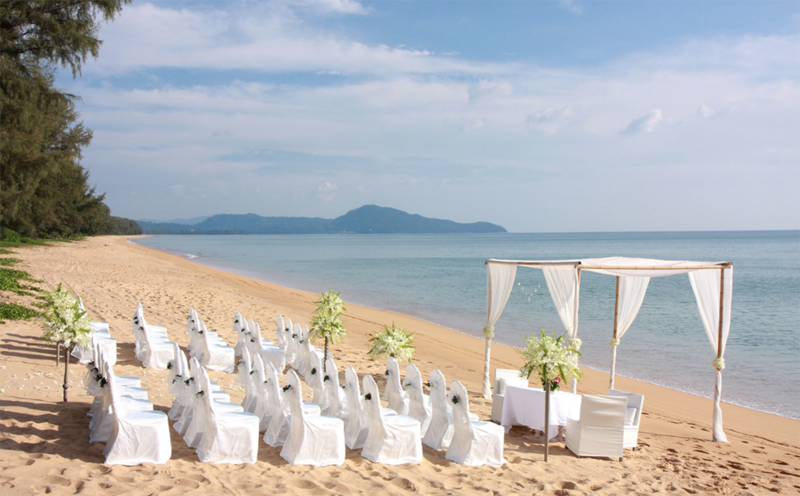 Still want to see more amazing wedding venues in Thailand? Visit our directory for the leading hotels, resorts and villas specialising in destination weddings.